Have you considered lymphatic drainage massage and are unsure whether it would benefit you? We would like to give you some more information about the lymphatic system and it should not be ignored. The lymphatic system is part of two other bodily systems that we hear a lot about: the circulation of the blood, and the immune system. So if we are concerned about either of these we should also look after our lymphatic tissues. One of the main functions that this relatively unexplored network has is to facilitate fluid movement from around, and inside the cells back to the blood circulation system. The lymph fluid itself does not circulate; it only moves in one direction – from the cells upwards to the neck where it enters the subclavian veins. 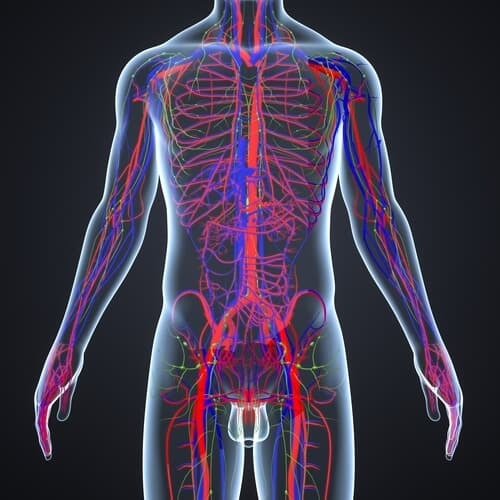 Before the lymph enters these veins it is filtered by one or more small lymph nodes of which we have 600 – 700 in total. These nodes filter for harmful material (e.g. cancer cells, pathogens, toxins, dirt). Usually, a person cannot feel their lymph nodes except when one is swollen. The most common cause of a swelling is an infection. These nodules are also responsible for the production of antibodies and white blood cells which then are distributed throughout the body via the blood and form an important part of the immune system. Most of the lymph nodes are close to the intestines and the head-neck areas (= place of entry for pathogens). Other important parts of the lymphatic network are the tonsils, adenoids, spleen, thymus and bone marrow. Your body tries to keep the lymph fluid in equilibrium. If too much accumulates it is called “edema”. If the body can not remove enough water and protein it is called “lymphedema”. This can be accompanied by pain. Edema can have different root causes: e.g. heart failure, obstruction of veins, infections, toxins, kidney problems. 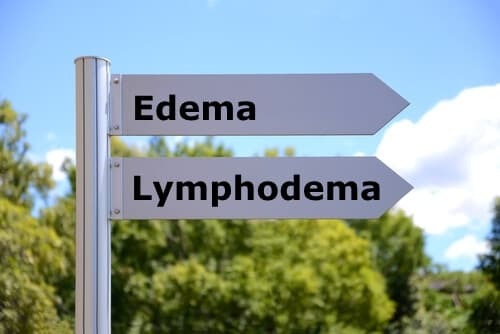 It is therefore important to see your doctor to find out whether a root cause needs to be addressed before having lymphatic drainage massage. Over time, untreated edema can lead to fibrotic, hard tissues which cannot be reversed anymore. Lymphedema (= Lymphodema) can be inherited or be the consequence of damage to the lymphatic system. The most common cause for such damage in Western Countries is the removal or radiation of lymph nodes in cancer surgeries, or an infection or inflammation to the lymphatics. Lymphedema can occur immediately, years, or decades after some form of damage and is a very serious condition. If left untreated it will lead to serious consequences, e.g. tissue injury. To prevent this, manual lymphatic drainage massage, and in more severe cases complete decongestive therapy, is imperative. The drainage of congested lymph can balance all kinds of chronic conditions by moving congestion and thereby supporting the self-healing abilities of your body. It can also increase the production of lymphocytes by as much as 30%. Sufferers of gastrointestinal issues (e.g. celiac disease, IBS, Crohn’s), skin problems (acne), sleep disorders or migraines also found lymphatic drainage massage beneficial. Acute infection, early onset of an inflammation, or fever: in these cases a drainage can make your health worse. In general, we do not offer pregnancy massage. This site is for information and education purposes only. It is not intended to diagnose or prescribe for any medical condition. professional before making any decisions regarding your health.